A systems analysis of how the world works and how it can work better, even unto sustainability, is the task and goal of dozens of research institutes and hundreds of activist organizations. They understand the inevitable systemic ties between the global and the local: global causes have local consequences; locally sourced resources (funding, demonstrations) support global pressure. 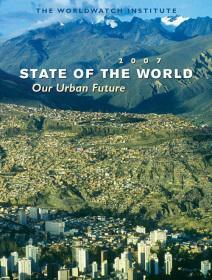 There are thousands of organizations engaged with modifying the global society we inhabit. While they represent a full spectrum of political and special interests, the critical division related to our thesis is between a short and long-term perspective; between exploitation for short term gain that ignores long-term consequences, and respect for the many manifestations of sustainability. Within the cohort of organizations concerned with sustainability, focus ranges from one critical area like the environment (Sierra Club, Union of Concerned Scientists, Greenpeace, Environmental Defense Fund, etc.) to world-encompassing concerns, as practiced by the New Economics Institute, WRI and World Watch, etc. Both research institutes and activist organizations (usually more of a semantic distinction) operate as non-profits, and depend on contributions, membership fees, business-related sales and grants. Who they represent is even more complex. CERES Board reflects the composition of its coalition. 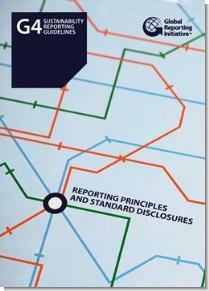 GRI has a Stakeholder Council elected from its requisite constituencies. 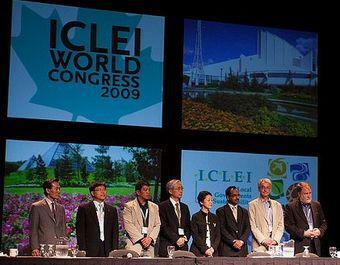 ICLEI’s Congress draws from the geography of the planet. 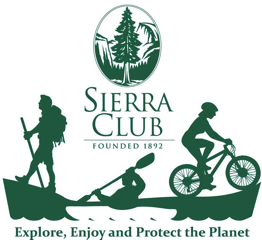 The Sierra Club depends on the connection with local chapters. The Union of Concerned Scientists is one of many membership organizations that represent a sophisticated segment of our society standing up for concerns about the systems they have had a critical role in creating. 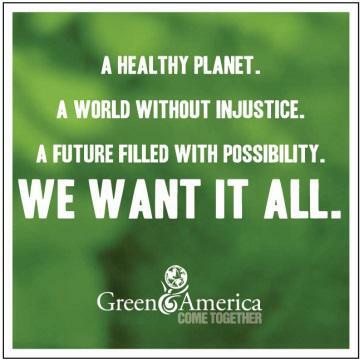 Green America is structured as a cooperative of individuals and businesses that share a sustainability agenda, with a staff of worker members to carry out program objectives, governed by a Board representing all three membership categories. Whether targeting global, national or regional transformations, all have local consequences, because systems provide the pathways we tread in our daily lives. The concordances and protocols we take for granted are the result of intense colloquy within sectors. Often there are competing interests. Factoring in a longer-term perspective that extrapolates better or worse futures is a growing phenomenon as the consequences of ignoring implications hit home. 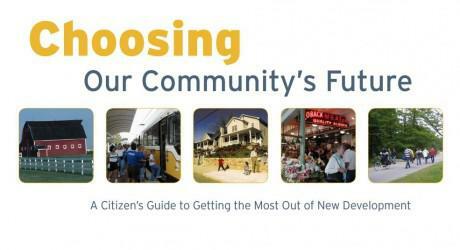 Organizations representing a long-term perspective including Smart Growth America, Sustainable Development Network, and ICLEI (The International Council for Local Environmental Initiatives) are about getting agreements that share learning and best practices. 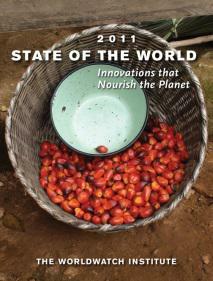 There is a steady diet of print and on-line publications like World Watch’s annual “State of the World” report, which are the product of intensive research, as well as conferences and meetings which function as a global and regional, almost Jungian over-mind for our civilization. At Davos, the UN, Aspen and hundreds more sites, understandings are crafted, differences struggled with by academicians, activists, administrators, politicians, representatives of business and finance. The flow of information that spreads best practices is a product and artifact of squarely facing the results of proprietary patterns. The inventors of the World Wide Web and Wikipedia built on startling technological innovations, and by constructing an open sourced system, created value and possibilities for the world. Business, finance and the market economy have been the proudest boast of a progress-oriented civilization since the explosion of the industrial revolution. Yet to those with a more long-term perspective, including past crashes, the financial sector has seemed determinedly out of control. The reality is that the world of business and finance has been either ill-equipped or stubbornly resistant to interventions which seek to infringe on their autonomy. The impulse to create systems which recognize a global reality, yet insist on the values of sustainability and interdependence can either be a clash of wills or the basis of an honest dialog. Innovating systems which absolve the contradictions requires vision, patience and fortitude. One of these interventions began in the ‘70s as a reaction to apartheid. A few and then many institutional investors concluded they must go beyond short-term risk and return as the only criteria for their portfolios. Companies that did business with South Africa became the target of campaigns. 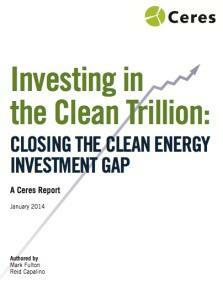 CERES, soon spun off as a separate organization composed of concerned investors, including major pension funds like the City of New York’s and State of California’s, leading environmental organizations, and organized labor. It set forth ten principles to govern the behavior of corporate America. Aside from the loftier goal of changed corporate behavior, the Coalition embraced environmental impact reporting by corporations as a reasonable demand from legitimate and significant stockholders. The flow of information began as a trickle in the ‘90s, and by the end of the decade was a steady stream. Recognizing that so many of the companies involved were multi-nationals, in the late ‘90s, CERES CEO, Bob Massie and consultant Alan White devised, then nurtured the independence of the Global Reporting Initiative. 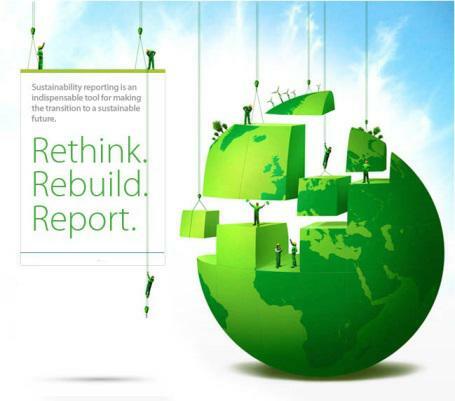 GRI, now based in Amsterdam, convened thousands of managers, academics and consultants to create a body of guidelines for sustainability reporting. They were divided into working groups which prepared their recommendations for GRI’s Technical Advisory Committee. Governance and oversight are provided by a Board of Directors, and a Stakeholder Council elected by a membership representing the relevant sectors: business, civil society, labor, financial institutions, as well as geographic diversity. Reports are completed by thousands of companies, and available to the point that transparency has become part of normal commerce, right along with financial reporting. The value of a consistent format for reporting is that results can be compared year to year, and company to company (“what gets measured is what gets managed”). What CERES and GRI have accomplished is a process by which a global community of interests, traditionally adversarial, have developed collegial relationships and intimations of common purpose. 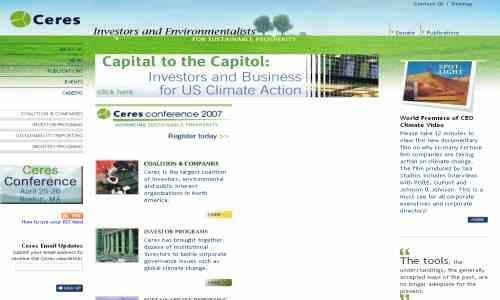 In 2002, CERES convened the Investor Network on Climate Risk (INCR) with a bi-annual Investor Summit on Climate Risk held at the UN. 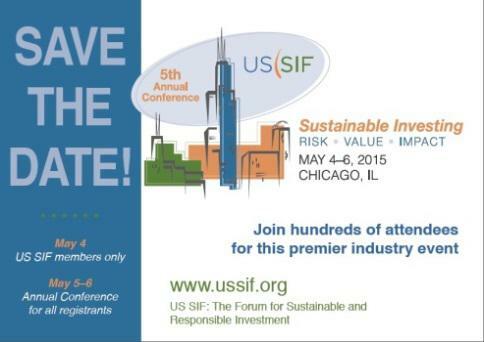 Attendees manage assets of more than 20 trillion dollars, representing every major fiduciary agent. Even traditionally conservative insurance companies have come to the table, as a series of climate-related disasters cut into profits, with well-founded suspicions of worse to come. When the financial services industry took a huge hit over almost sinking the global economy in 2008, the relationships already in place contributed to taking a longer term perspective (along with polishing a tarnished image). In 2009, to counter mainstream companies opposed to regulations, CERES convened BICEP, representing dozens of concerned corporations. 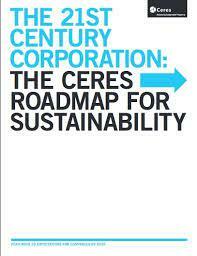 In 2010, CERES developed a 21st Century Roadmap for Corporate Sustainability, which lays out a clear path for a business-engaged, sustainable future, and a basis for assessing progress. For twenty years, the annual CERES Conference has provided a remarkable space where 700 leaders of business, activists, government, labor, and financials entities can talk frankly, reach accommodations, assess the state of sustainability, and explore how that applies to their own organizations. Specific task forces operate during the year to focus on issues such as water and energy. Funding is primarily from company dues and foundation grants. 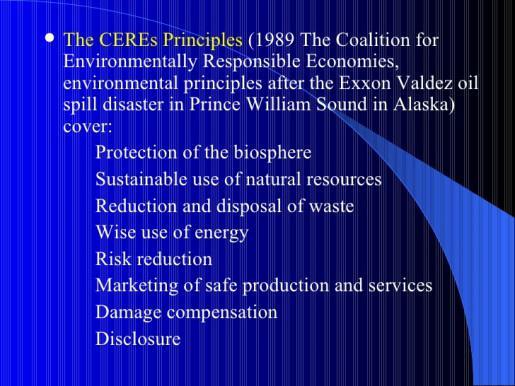 From a time when there was no environmental impact reporting, CERES has played a critical role in developing the expectations, protocols and actions that are now the standard for global companies. CERES and GRI are prototypes of how collaboration can produce results, bringing together diverse interests in trustworthy venues. There is a whole category of systemic interventions which affect change through financial programs. 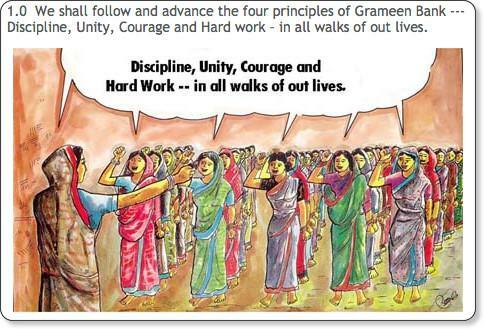 The Grameen Bank finances economic empowerment to lift village women in Bangladesh out of poverty. Grameen and other micro-finance organizations, operating in poor countries, have raised capital primarily from first world investors. Some of that redistribution of wealth is coordinated by first world managers and funds such as Impact Assets, part of a growing cohort of sustainability and cause-driven investors and financial institutions. Once aggregated, invested funds are spread through small loans on a village level. The distributive impact of micro-lending drives local development and a spirit of entrepreneurship. As it becomes an accepted way of doing business, it rises to the level of a system intervention. Wayne Silby and John Guffey launched the Calvert Social Investment Funds in the early ‘80s, joining the visionary Pax World Fund in screening investments. Calvert has continually broadened the scope of its offerings without compromising its integrity. Besides screening out investments in corporations that have a negative impact on the environment and society, Calvert has catalyzed positive investment through the Calvert Foundation. 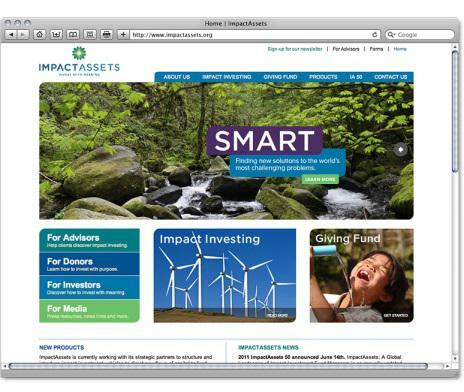 Calvert and Impact Assets have linked to create a flow from investors to entrepreneurs, aggregating funds for targeted investment in businesses (both for-profit and non-profit) that have social value. Besides the investment piece, Tim Freundlich, the CEO of Impact Assets has developed SOCAP (Social Capital) as an annual, global conference to consider and share the state of the art of social investment and entrepreneurship; and joined with others in the global development of the HUB movement, collaborative, curated workspaces where socially motivated entrepreneurs go to work every day in a spirit of community. Identifying the gaps in systems, and creating or strengthening infrastructure to support them is always a challenge. That’s especially true when adding a value requirement, unless the business model includes a reward for value added. Trade between poor and wealthy countries has always provided opportunities for exploitation. 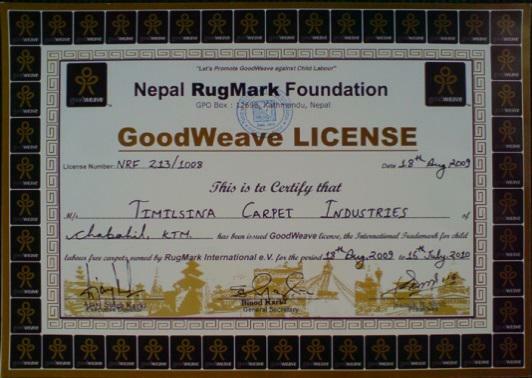 Terrible working conditions resulting in death and disease has been challenged and mitigated by activist organizing in the factories, most notably through Rugmark/Good Weave in India and other Asian countries, collaborating with importing nation activist groups to set standards by recognizing Rugmark’s seal of approval. With support by unions through the International Labor Rights Fund, importers large as Nike and the Gap eventually paid heed and began to take responsibility for their sourcing. 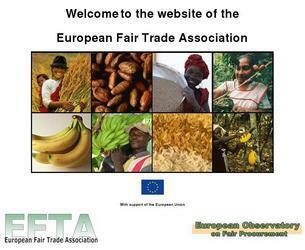 EFTA, the European Fair Trade Association, has been active since the ‘80s creating dependable, credible sourcing and helping with product development for clothing, crafts, furniture and food to fair trade organizations in a dozen Euro countries. Traidcraft in the UK, founded by Richard Adams, has been one of the strongest organizations. In the USA, specialized companies like Equal Exchange and Green Mountain with coffee and Ben & Jerry’s for nuts have set high standards. 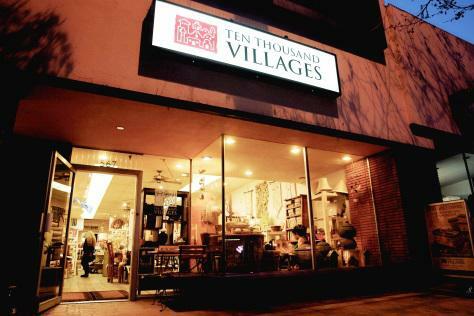 A Mennonite group, which had marketed fair traded products primarily through churches, set out in the ‘90s to establish the brand of Ten Thousand Villages, through a national network of craft shops, even extending to Europe. 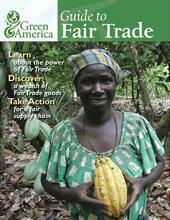 Fair trading has been strongly promoted by Green America, building on its experience in the ‘80s of marketing through the Co-op America catalog. As Co-op America, the organization made a successful bid to organize a distribution system that united consumers and producers who shared social and environmental values. 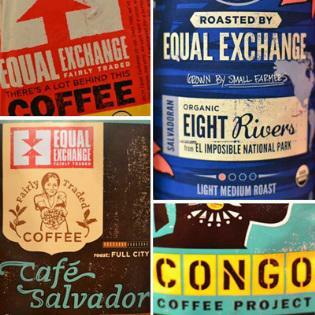 At its peak, in the years before on-line purchasing, the catalog and its 60,000 members were responsible for a few million in mail order sales, with fair trade imports a small, but important part. In healthcare, the RWJ Foundation and the Institute of Medicine along with dozens of allied professional organizations have recognized the dangers of a broken healthcare system. 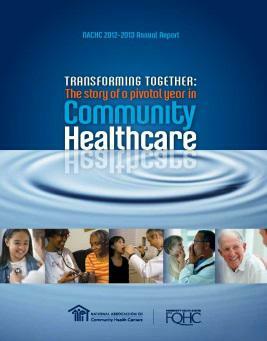 With healthcare rising to almost 20% of the economy, it’s not surprising that government, professional association and private foundation initiatives are directed towards identifying, disseminating and applying best practice improvements in delivery, through initiatives like the Robert Wood Johnson LEAP project. LEAP, led by National Co-Chairs Ed Wagner and Margaret Flinter, first identified 30 exemplary primary care centers, then gathered and studied them to synthesize and publish the essences of successful primary care delivery. The direct and practical relationship between national coordination, local application and expanding adoption is particularly important, given the increasing opportunities offered by technological advances. A less formal, but no less effective approach has emerged out of curiosity between leading Federally Qualified Health Centers. For more than a decade, a dozen or so top tier FQHCs, all with operating budgets well into eight figures, have been meeting twice a year, with rotating hosts. No organization, but their gatherings provide opportunity to share best practices, and build a culture of excellence. In aggregate, the entire cohort of 1300 FQHCs constitute a system of primary care, which though uneven in quality, has many systematic advantages and incentives to improvement. Regular conferences organized by the National Association of Community Health Centers (NACHC) offer workshops and presentations. Every industry and economic/social/political division of our global civilization has a set of interconnected institutions that are likely locked in an ongoing dialog. Those relationships have the potential for a creative conversation. Moderating, replacing and innovating systems in a way that recognizes our global, human connections while reinforcing community, is the least recognized and appreciated work of establishing a new paradigm. NACHC provides a functional link between its community health centers and the federal authorities who provide much of their support. CERES is a mediating, convening force between cause-related organizations representing activist constituencies and business. 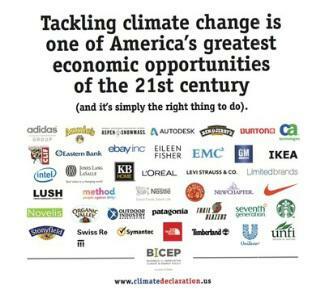 The Environmental Defense Fund develops the critical data for pressuring corporate behavior. 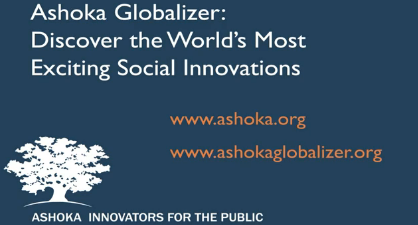 The Ashoka Foundation identifies, honors and convenes leaders in the area of social and environmental impact, presumably inspiring others by example in the process. 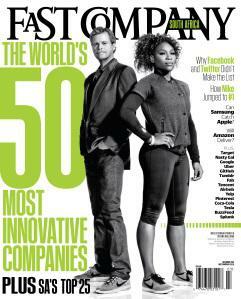 Fast Company continues that tradition by identifying and promoting innovations. 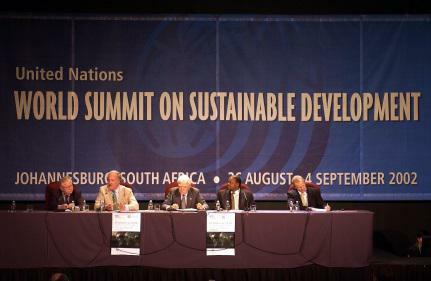 Globalization can drive us over the cliff of unsustainability. Yet for all the critiques of capitalism and the impact of manufacturing, if we were still fighting with swords and farming with plowshares – population held in check by infant mortality; the mighty engine of industry and commerce turning slowly – would the lot of humanity be better? 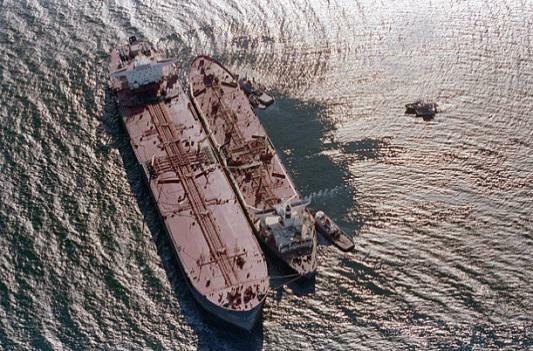 In potential, the unintended consequences of environmental catastrophe, pandemics, war and terrorism can also be the drivers that can build bridges across chasms of misunderstanding and bad intent. If we are in a race between the devil (out of control and unsustainable development) and the deep, blue sea (our resilience and creativity), it is our capacity to innovate and collaborate for the greater good of our long-term survival (both species and planet) that has a chance of winning through. In the myriad organizations around the world that work tirelessly on their areas of systemic intervention, both on a community and global level, using our localities as the environments to test innovations, we find hope and solace in the moments and places where we get it right.